Colus offers up well designed, one color t shirts. 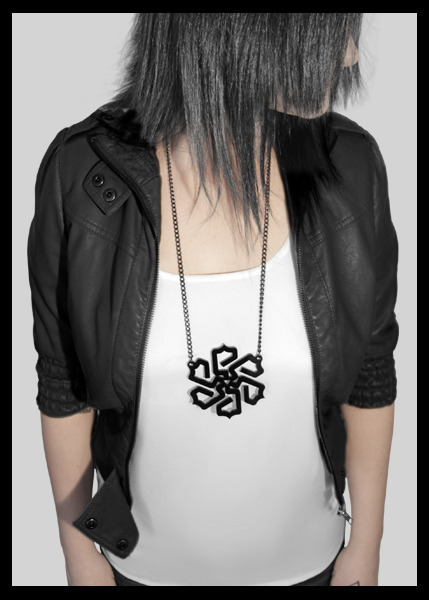 Their most recent offerings are two laser cut acrylic necklaces. My favorite of the two is “Flora.” Looks like it would look great with either a t shirt and jeans, or a dress.